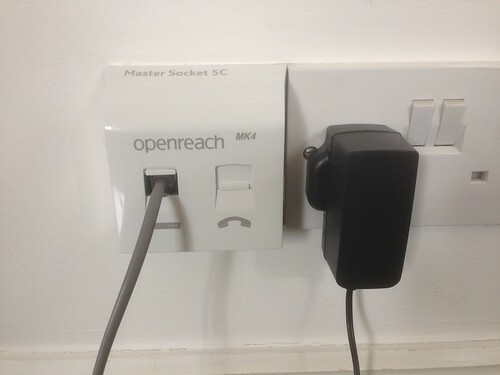 This entry was posted in osde and tagged adsl, broadband, fibre, london on 23/12/2018 by osde8info. what is adsl2+ annex a ? This entry was posted in osde and tagged adsl, broadband on 07/11/2015 by osde8info. The UK SSE ADSL Broadband Technicolor Gateway TG582n routers administrator default password is its serial number (SN). This entry was posted in osde and tagged adsl, broadband, network, router, sysadmin on 23/06/2015 by osde8info. Maybe I should record my calls for QA purposes ? Yesterday I phoned one of my broadband suppliers and they said they were "sorry" for the 24 hr outage but that I couldn't cancel my contract until December but would I like a "free" Wi-Fi modem router worth £40 ? (Stupidly) I slept on the deal and phoned them back today only to told they "never" gave away Wi-Fi routers but they could offer me 25p compensation and that I could "cancel" my account at any time ! I'll be recording my calls for QA purposes from now on ! So make sure you listen for that beep ! This entry was posted in osde and tagged adsl, broadband, customer relations, customer service, uk, wi-fi on 07/06/2008 by osde8info.